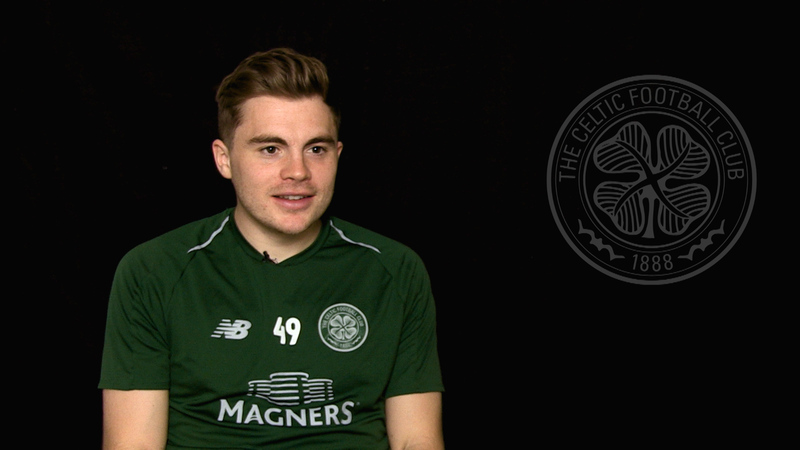 Stay updated with the latest news, ticket and fixture info, exclusive offers and exciting competitions by registering at SIGNFORCELTIC.CO.UK. Proud host venue of Glasgow 2014 Commonwealth Games Opening Ceremony Celtic Park is now recognised as one of Europe’s top stadia and premier event venues. 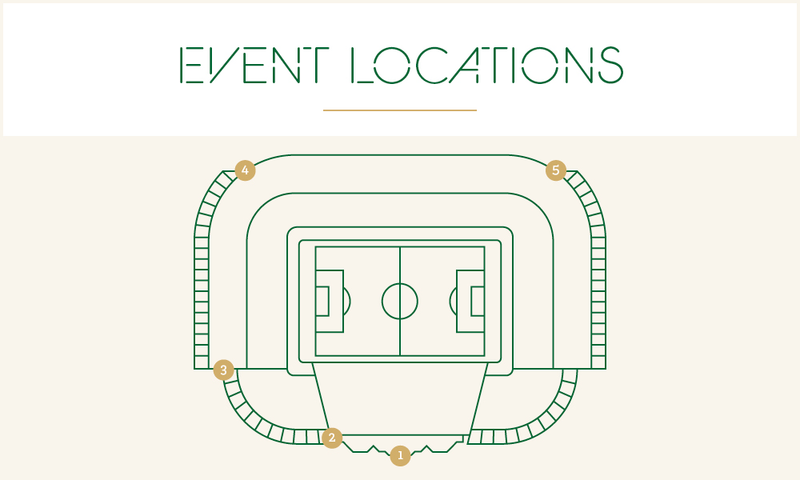 Aside from world class football our unique venue, exceptional staff and state of the art facilities provide the perfect platform to create an outstanding event for you and your guests. With executive boxes overlooking the pitch, bespoke suites and spacious lounges, whether you are hosting a meeting for 2,dinner for 600 or a concert for thousands we can tailor a bespoke package whilst maximising your budget. 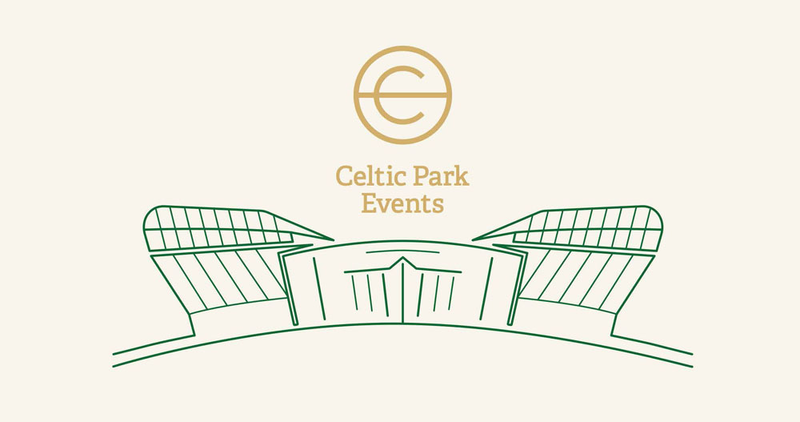 At Celtic Park our flexibility, attention to detail and unique spaces offer a unique experience & each can be utilised individually or simultaneously to facilitate larger conferences, seminars or workshops. Situated just 2 miles from Glasgow City Centre & 20 minutes from Glasgow International Airport, Celtic Park is easily accessed by train, bus or via the excellent Glasgow motorway network and benefits from stewarded car parking for over 800 cars. 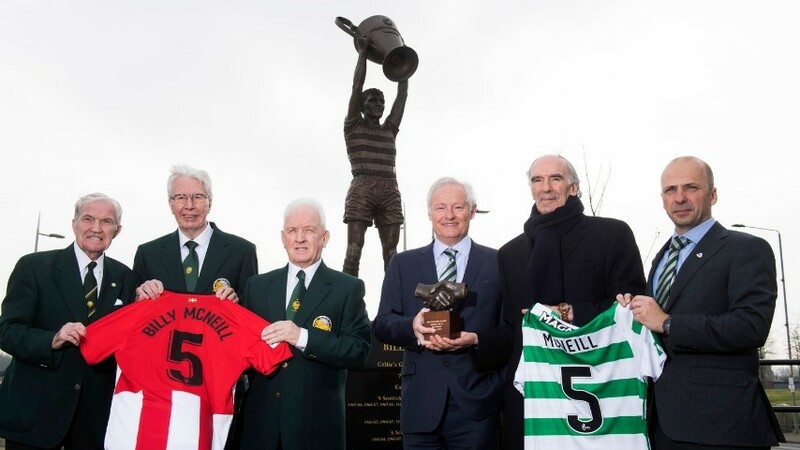 Whether it’s a meeting, exhibition, concert, Christmas party or wedding you will be guaranteed a world class experience at Celtic Park producing a memorable event every time. For customer enquiries relating to existing purchases only, please call 0141 230 1967. *Calls cost 13 pence per minute, plus your phone company’s access charge. 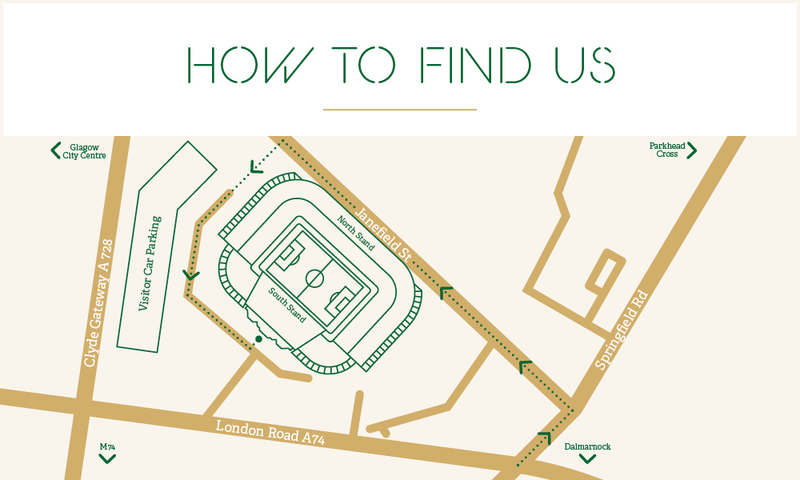 From Springfield Road turn left onto Janefield Street and following the one way system, drive under the North Stand. Bear left on exiting the North Stand tunnel and parking is adjacent to the Celtic Superstore. 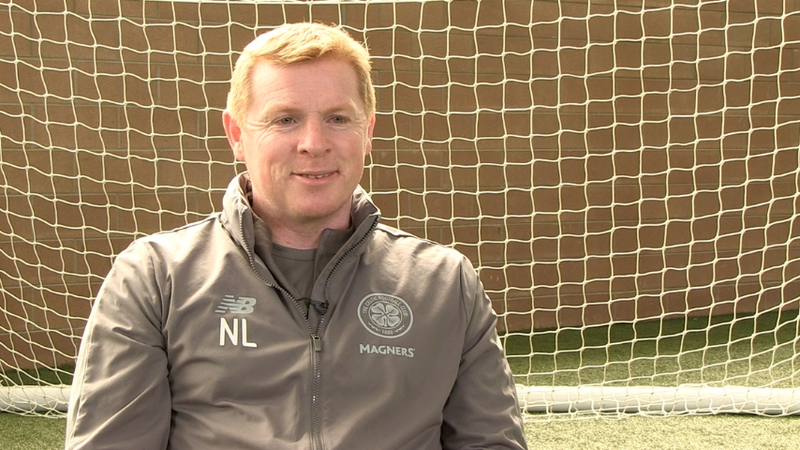 From West - M8, exit Junction 14 and drive straight onto Cumbernauld Road, continue on through Millerston Street, straight onto Fielden Street, turn left onto London Road, left onto Springfield Road and into Celtic Park. From North - A80 - M73 - M74, exit Junction 4 onto A74 - London Road, continue straight on and turn right onto Springfield Road and into Celtic Park. From South/East - M74, exit Junction 4 onto A74 - London Road, continue straight on and turn right onto Springfield Road and into Celtic Park. 2-3 miles from city centre Glasgow Queen Street and Central Station. Dalmarnock Station is within a 5 minute walk. 12 miles from Glasgow International Airport. From M8 to M74 and exiting at Junction 1A.